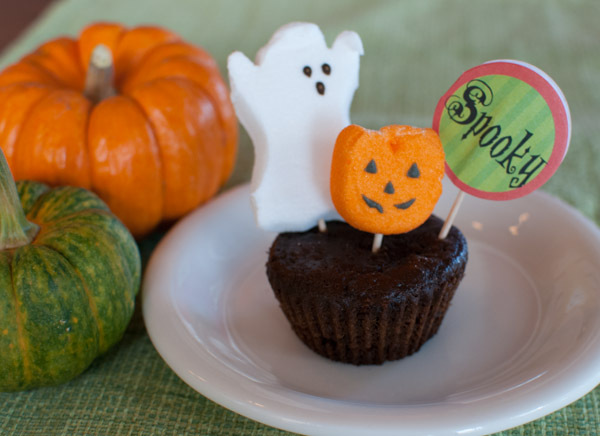 Since the kids are sure to get a hearty dose of sugar this Halloween, how about whipping up a healthy sweet the kids will go crazy for? 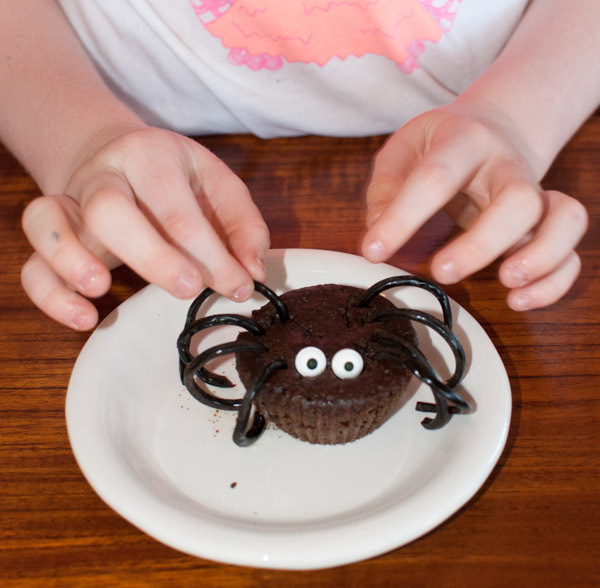 My family loves these moist, sweet chocolate muffins that easily pass for cupcakes. 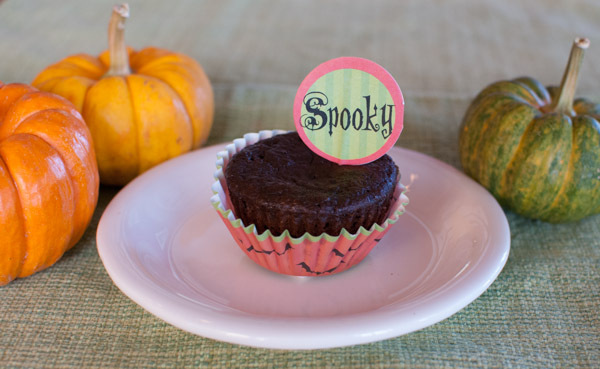 They’re also perfect for a class party or potluck. 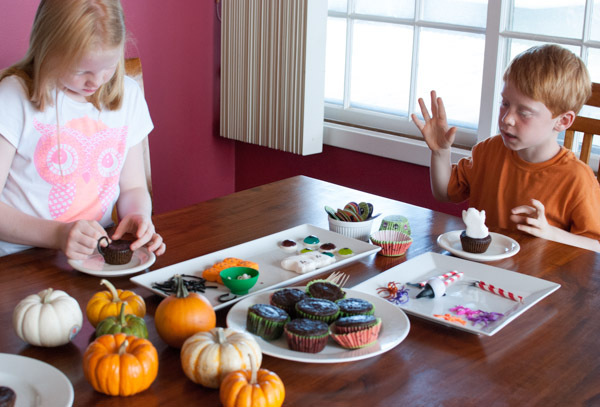 Here are several ways to make them festive without using frosting. 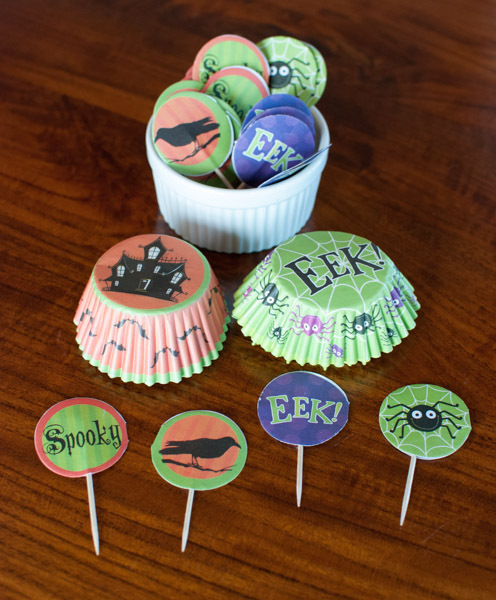 Use festive cupcake liners and toothpick toppers. We’ve seen a variety at Ben Franklin, Target and Price Busters. Rings or small toys. We liked these colorful spiders from Target. 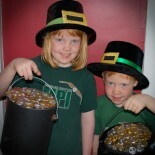 Just make sure to tell the recipient it is not candy! Witch’s legs. We cut a colorful straw (from Ben Franklin’s) in half, made small slits on one side, cut some witch shoes out of black paper and inserted them into the slits. We found these Monster’s Inc. gummy eyeballs at Price Busters. 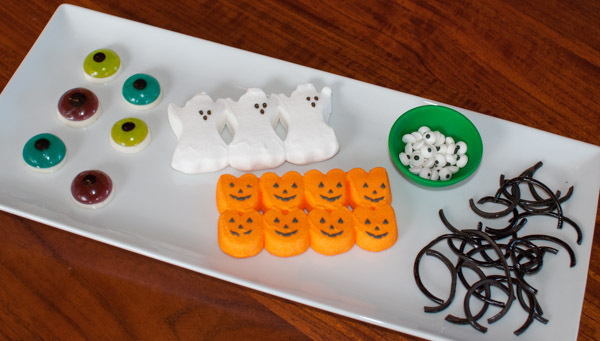 Use a toothpick to stand some Halloween Peeps on top. 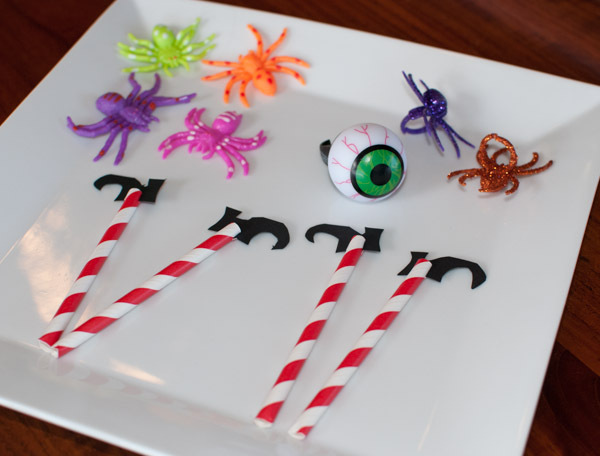 Make a spider using candy eyes (Ben Franklin and Target carry these) and licorice legs (from Candy Carousel). Preheat oven to 425 °F. 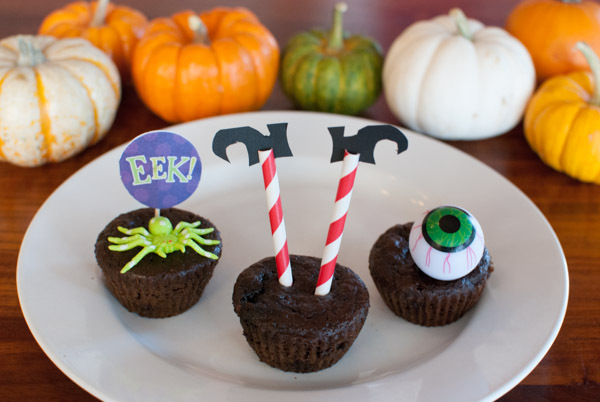 Grease a muffin tin or insert cupcake liners and set aside. We use silicone muffin cups. In a bowl stir together the oil, applesauce, sugar, maple syrup, egg, yogurt and vanilla. Set aside. In another bowl combine the flour with cocoa powder, salt, baking soda, and baking powder. Add the wet ingredients to the dry and stir just until combined. Fold in the chocolate chips being careful not to over mix. Divide the batter evenly between 12 muffin cups and place in the oven. Bake for 5 minutes and reduce the oven temperature to 375 °F. Continue to bake for 12-14 minutes or just until done. Do not over bake! A toothpick inserted in the middle to test for doneness may still be slightly gooey but the muffins will continue to cook while they cool so do not continue to bake any longer. You really can’t wait for the toothpick to be totally clean, it’ll be just slightly sticky. Remove from the oven and cool for 5 minutes in the muffin tin before gently removing and placing on a cooling rack until completely cool. These will last in an airtight container at room temperature for 4-5 days. You can substitute mashed bananas for the applesauce. We prefer the flavor using applesauce. 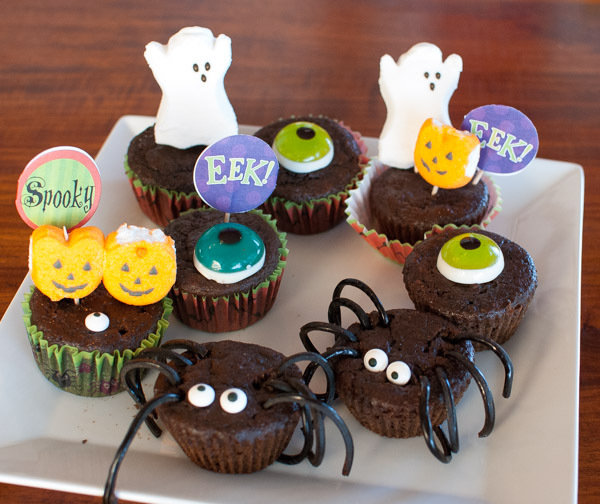 This entry was posted on October 5, 2015 by mdaucello in Crafts, Halloween, Recipes and tagged chocolate, decorate, Halloween, muffin.